After World War II most of the world stopped looking forward, and started looking inward. There were too many social problems. There was too much poverty and hunger and disease. There was far too much pain screaming out at us from the horrors of the preceding 10 years. It opens the door to the possibility of ending old age, disease, hunger, even death itself. It offers potential dangers equal to it’spotential wonders. But we created the nation about 10,000 years ago, and we haven’t really come very far since. Half of Europe was STILL in the city state or principality phase 250 years ago. The United Nations is, at best, an ineffective organization with more politics than solutions. At worst, it is an organization used to spread the ugliest prejudices of humans, while decrying the actions needed to stop them, and masking it all under cynical self righteousness. It is not the critic who counts; not the man who points out how the strong man stumbles, or where the doer of deeds could have done them better. The credit belongs to the man who is actually in the arena, whose face is marred by dust and sweat and blood; who strives valiantly; who errs, who comes short again and again, because there is no effort without error and shortcoming; but who does actually strive to do the deeds; who knows great enthusiasms, the great devotions; who spends himself in a worthy cause; who at the best knows in the end the triumph of high achievement, and who at the worst, if he fails, at least fails while daring greatly, so that his place shall never be with those cold and timid souls who neither know victory nor defeat. — Theodore Roosevelt, April 23, 1910. In the wake of the tragic crash of Virgin Galactic’s SpaceshipTwo and the death of one of the pilots, there are questions being asked about commercial space flight. 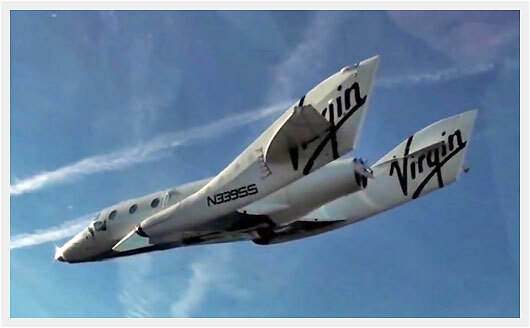 There are some who want to end the space tourism industry before it even gets off the ground. It’s “too risky” and “it’s a boondoggle for millionaires” they’re saying. If we accepted that silly notion, the Panama Canal, which opened up the U.S. West Coast and indeed the entire Pacific to what eventually became a more globalized economy would’ve never been built. After all, countless tens of thousands died to build it. How about flight? While developing and advancing the concept of manned flight, countless pioneers and inventors gave their lives and hurt themselves severely. Remember, flying commercially was once a privilege of the wealthy until after World War II. Even NASA’s Apollo program suffered loss of life. If we had stopped when “workers building that system” die, we would never progress technologically or in exploration. But Rogers really makes his true objection known and it’s only somewhat towards Virgin Galactic, it’s towards the history of exploration, space travel, and economics. Governments and businesses have always positioned space travel as a glorious journey. But that is a misdirect. It is branding. The Apollo program was the most technologically sophisticated propaganda front of the Cold War, a battle among superpowers for scientific bragging rights. Don’t get mad—that truth doesn’t diminish the brilliance of the achievement. It doesn’t mean that the engineers weren’t geniuses or the astronauts weren’t brave or skilled. But it does make problematic, at least a little, the idea that those astronauts were explorers opening up a new frontier. Historically, frontiers have always been dicey. What the average Western European thought of as a frontier in the 1600s was someone else’s land. And the reasons for going toward frontiers have always been complicated by economics. Was Columbus brave? Sure, probably. But he was also looking for a trade route. Were the conquistadores intrepid? Yeah. But they were looking for gold and land. Do human beings have a drive to push past horizons, over mountains, into the unknown? Manifestly. But we always balance that drive and desire with its potential outcomes. We go when there’s something there. Yes, that’s generally how things work. People seek to pursue better economic opportunities and go get “something”, whatever that is. This is a good thing. The best case example is the California Gold Rush. Gold was discovered in the California territory in 1849 and people came there from all over the world to come look for gold. Now most people who went there did not find gold and many went home with only as much or even less than what they started with. However, an entire state and even an entire half of the United States was built as a result of it. Steamships expanded service to the West Coast, merchants built businesses to support the prospectors, farmers all over the Pacific region found new markets for their food. An entire state was carved out of the desert, to support and grow that state and that region, the Transcontinental Railroad was built, which opened up the entire West for settlement and development. This was all because people sought gold in 1849. What Rogers thinks is that governments and central planning are the best ways to explore space, and don’t kid yourself crony capitalist projects like Elon Musk’s Space X (which survives solely due to subsidies and cronyism) in that same category. However, central planning will not take humanity into the stars. Government-run manned space programs such as the Space Shuttle and the International Space Station have the following things in common: over budget, unfufilled expectations, and behind schedule. If NASA was in charge of discovering the New World, they probably would’ve never left port. What space tourism has the potential to do is to build the infrastructure to go back to the Moon and to Mars and more importantly go there to stay and colonize it. Space tourism is a funding source for companies to develop launch vehicles and orbital vehicles, which can lower the costs of launching a cargo payload into space. Eventually, the plan is to build orbital hotels and space stations to enable space cruises and longer stays in space. 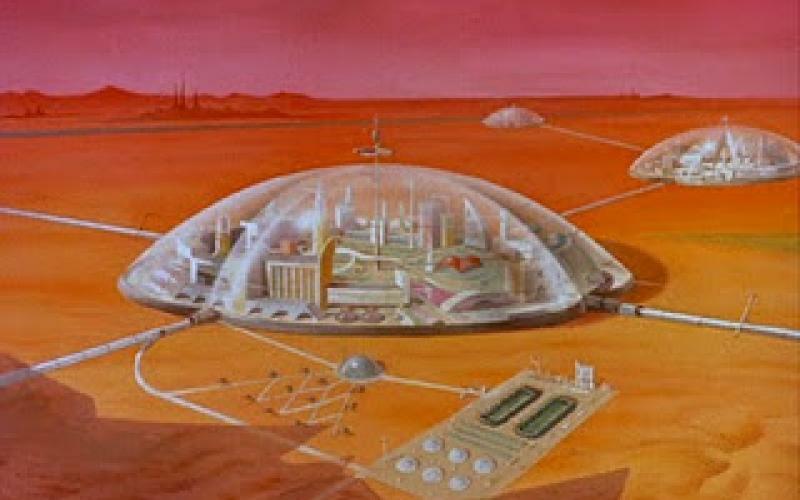 All of this infrastructure can become dual-purpose to sustain a Lunar and eventually a Martian colony. Not to mention, the dream of measuring transcontinental air travel in minutes instead of hours. We as a species need to keep looking outward and more importantly, we need to get the hell off of this rock as Chris Byrne says in his excellent piece he wrote after the explosion of the Space Shuttle Columbia in 2003. We don’t need to go to Mars and back to the Moon just to plant a flag and bring home some rocks, we need to go back to stay. We need to go further into the Solar System after that and eventually leave our Solar System and colonize the stars. We need to become an extraplanetary society. For this reason alone, space tourism and indeed the dream of exploring space is worth dying for. All throughout human history, humans have been willing to risk everything for new ideas and to build a new world. Sometimes and in fact all too often, this risk has cost lives for what many saw as frivolous pursuits. Risk is what makes new discoveries rewarding and we as a society have become too risk adverse. To explore a new frontier and to build a better future for all of humanity is certainly worth dying for and space tourism, which can lead to the opening of space to the masses, is certainly worth the risks.